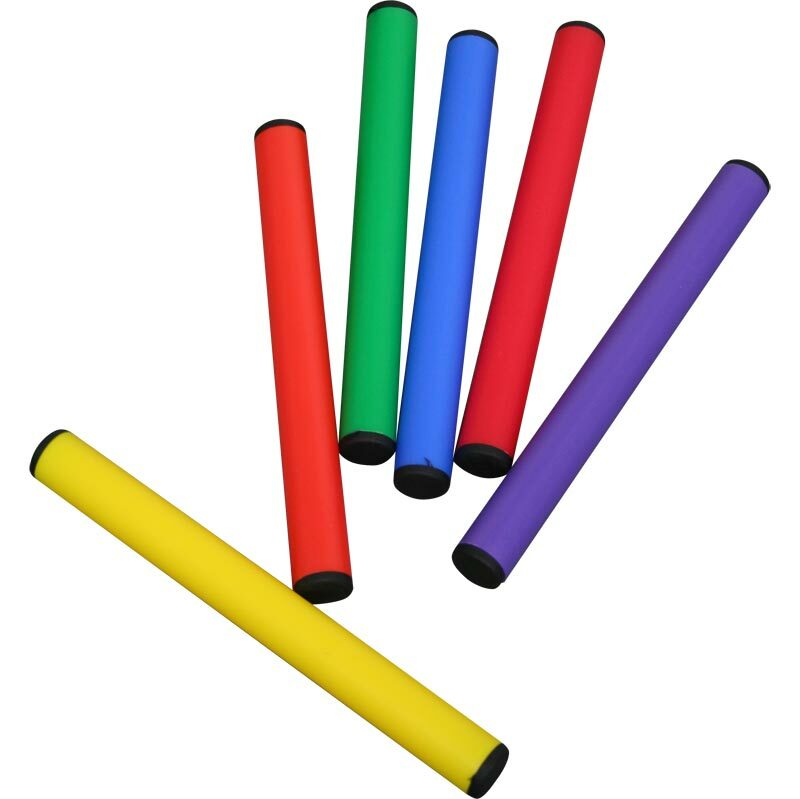 Safe and lightweight plastic PLAYM8 ® Relay Batons in the six PLAYM8 ® colours. Will not scratch gym floors if dropped. One of each colour: purple, orange, red, yellow, blue and green.